Why Tweaking & Split testing a SaaS Website is stupid (do this instead)! And everyone expects to do this "when they start to get more traffic" or "We need to be constantly improving and tweak our website to get better conversions". When did stupidly small efforts lead to big returns? Never...Stop playing "the conversion lottery" and learn the real process to acquire more customers with a website (more on that later in this article). There's also no "go to industry standard" of what you need to be converting, that's just pure madness! Focus on how much will it cost to bring someone to your website (by creating content or Paid traffic) and how much it costs at the end (once they become a customers). Would conversions rates matter if you could acquire a customer for $500 that's worth $5000 a year? No! That's still a 10x return...Who cares if that's only 0.5% of your traffic if you can keep spending $500 and get $5000 back? If I were you I would keep spending $500 dollars all day long! That's why focusing on how much a certain page converts or even comparing it to the "industry standard" completely misses the point! 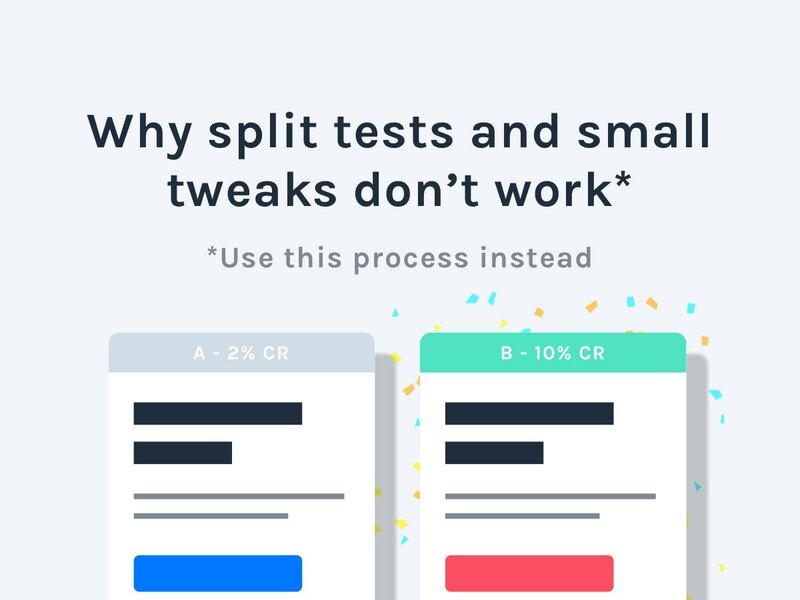 This is like the classic CC vs no CC trial example... You'll get more free trials without the CC but your free trial conversion will be lower so most likely you'll end up acquiring a similar amount of customers. Should you waste any of your valuable runway worrying about this small stuff? 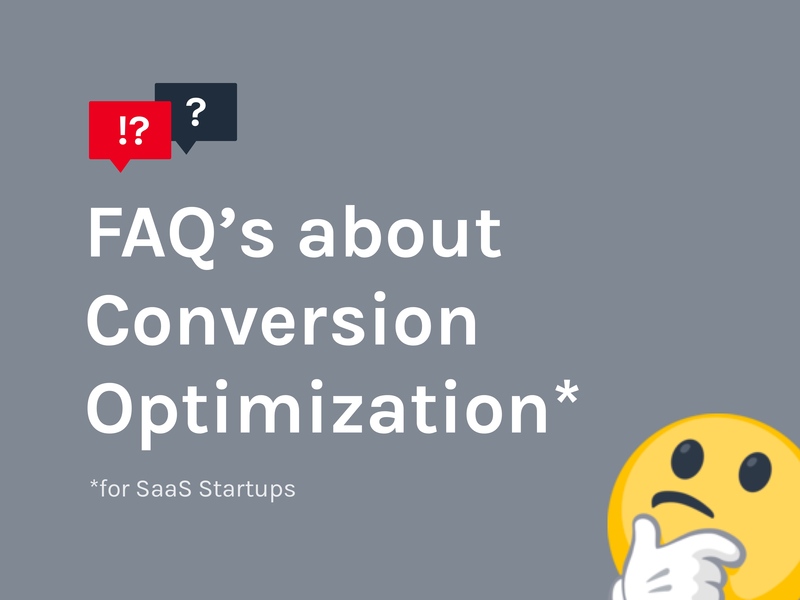 Nope...You should only focus on conversion rates if one step of your funnel is performing way worse than the other ones, where too many people are dropping off after a certain point, that's the main scenario where you need to focus on conversions. When and how to make a REAL split test (hint: you probably won't need one). There are way more requirements for a split test that you might imagine. You just see split testing been thrown a lot these days because conveniently there are a ton of tools (old and new) that came out of nowhere which are feeding all this non sense. In fact, I bet these are requirements that 95% of SaaS Websites doing split tests don't meet. 2 versions of the website that are different enough to create a statistical different in the results. A proper way to monitor the results and defining the KPI's before hand! Testing this out over a significant amount of time (ideally more than 2 months). Do you meet all of these requirements? Probably not...So I'll teach you where to focus on instead and how a website can really acquire more customers. 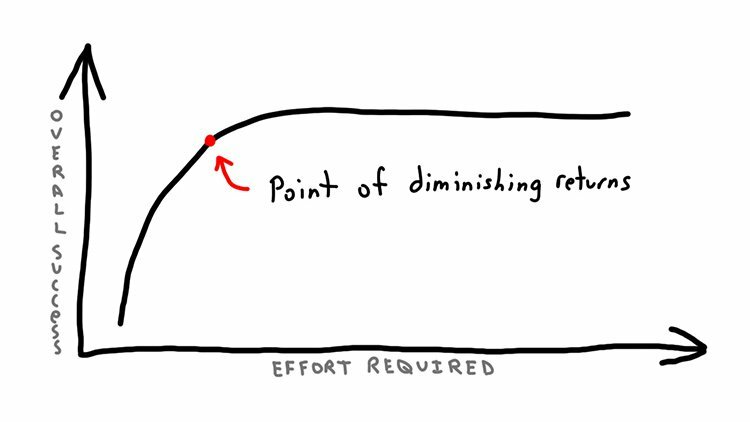 There is a point to where if you keep doing the same things hoping to optimize something you'll end up with less and less returns, to the point when it's not worth the time and the money you're spending. That's the point where optimizing your website (specially without the proper experience) without major leaps will simply get you nowhere. Just think about it...Where else can you spend your time and get a better return? Could you focus on bringing 1000 more people to your website? On up-selling your current customers? Or even trying out another offer/niche? You'll need a predictable system that converts customers for you and not something that will waste your time. 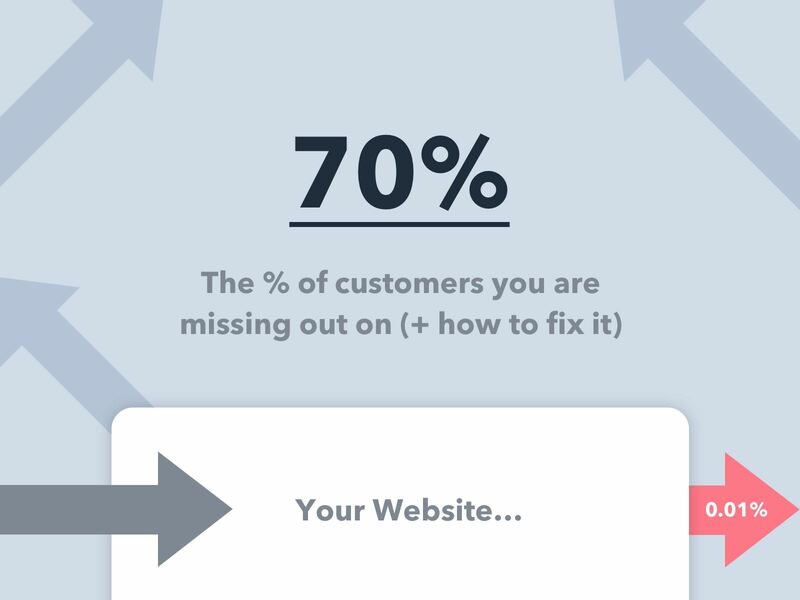 A funnel that performs well and with little maintenance where you can focus all of your efforts driving more people to a website you know it can "sell for itself" and acquire you more customers. 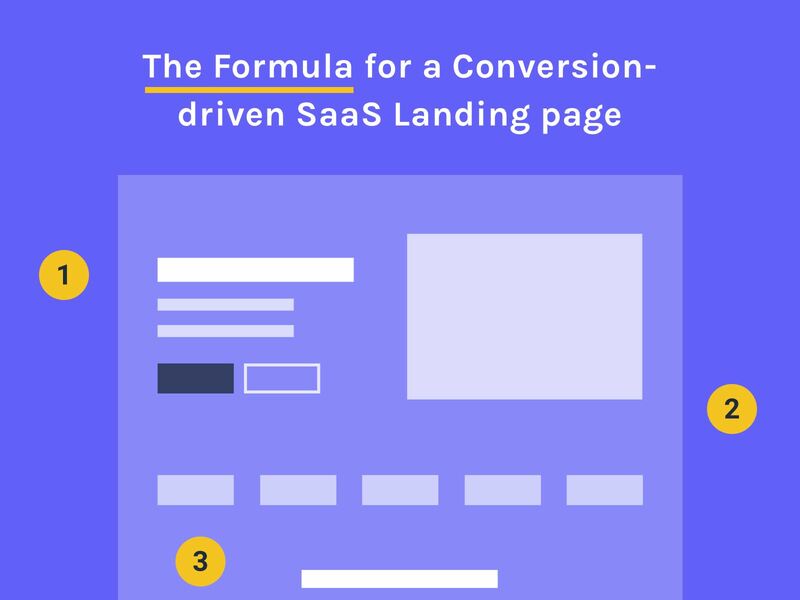 What really makes SaaS websites acquire a TON of customers (+ how you can do it too). A SaaS website should be nothing less than a proper system of acquiring customers based on the amount of targeted traffic sent to it. That's the right mindset...Think of systems/funnels/buyer journeys not individual pages! That's when you realise that the journey from stranger to customer is not as short as one page or as one CTA but of a sequence designed to educate them on your solution. What terms/wording do they understand? How should I present my offer? In what situation are they in? 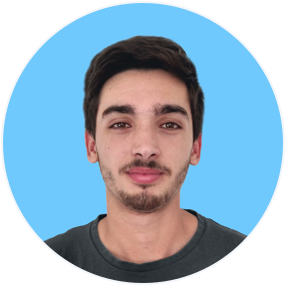 How can I adapt my pitch to them? That's what a proper conversion driven SaaS website is all about...Answering objections and delivering the right message to the right people. 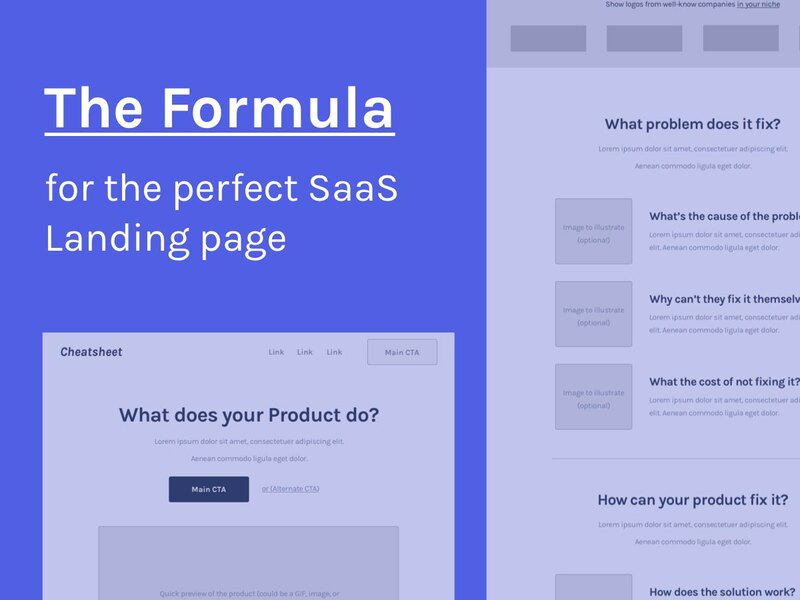 Related article: How to find out exactly what the message of your SaaS website should be. Here's how you can redesign or optimize your website for a real increase in results. It doesn't take 6 months, not 2 months, not even 1 month! It shouldn't take more than 3 weeks most of the times. I know because I've done it time and time again...Not only "sketches" but real custom pages with all the copy and images included (designed by me too). How can it be so much faster? Because you'll base the content of your entire page on the objections and the patterns from the customers you already have, so there are very few things to tweak or iterate on. I can tell you that 3 weeks is plenty! Why would you focus on redesigning pages that barely no one visits or that is not related to a conversion goal?! You need to focus on the pages that are part of the buyer's journey from landing on your website the first time to completing a goal (free trial sign up, scheduling a demo, downloading a lead magnet...). 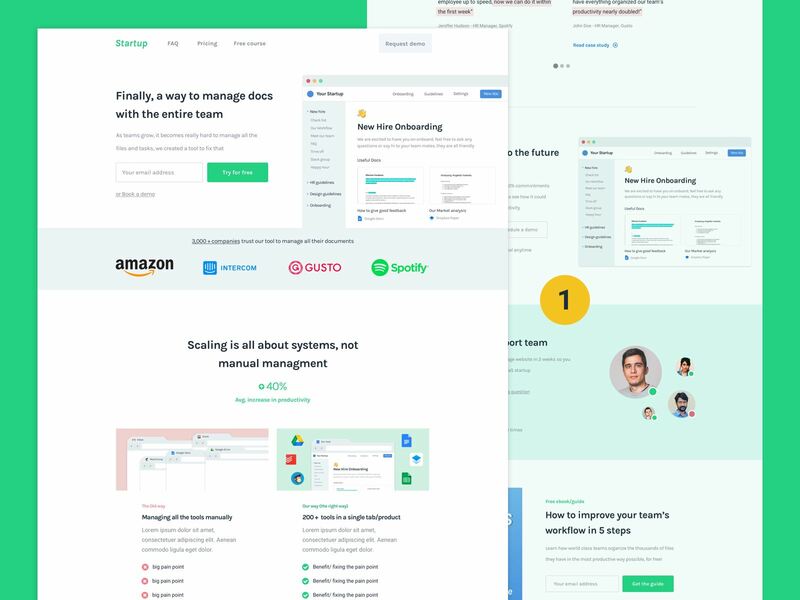 These are some of the pages on a SaaS website that are most likely to be seen my most of your visitors and that belong to their buying journey. Like in any buying journey people will have objections. Objections might simply be a set of questions that they have in order to feel comfortable making their decision to convert (or even try your product). You need to find these objections and answer them through out the website. The way you find these objections is the same way you find the ideal message for your visitors (right below this paragraph). You need to create the copy of your website around the EXACT words your customers might describe their problems and their solution. Where can you find the exact words my customers will use? This is key to attracting your ideal customer and avoid a ton of confusing and objections. 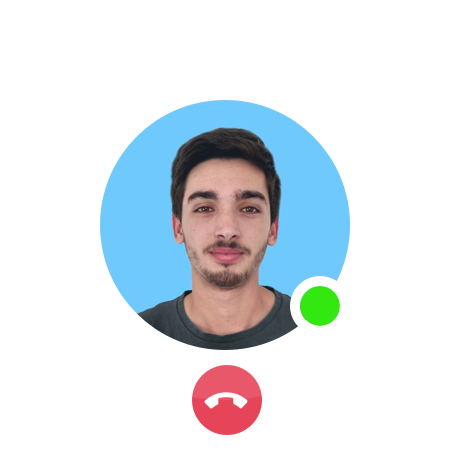 Calls with your current customers - if you talk with your customers somewhat frequently (which you should) you can ask to record the calls so you can review how they describe their problems and how they describe your product. Reviews - if you have reviews you can see why people took time out of their day to write something about your product (except the short ones like "Awesome tool". 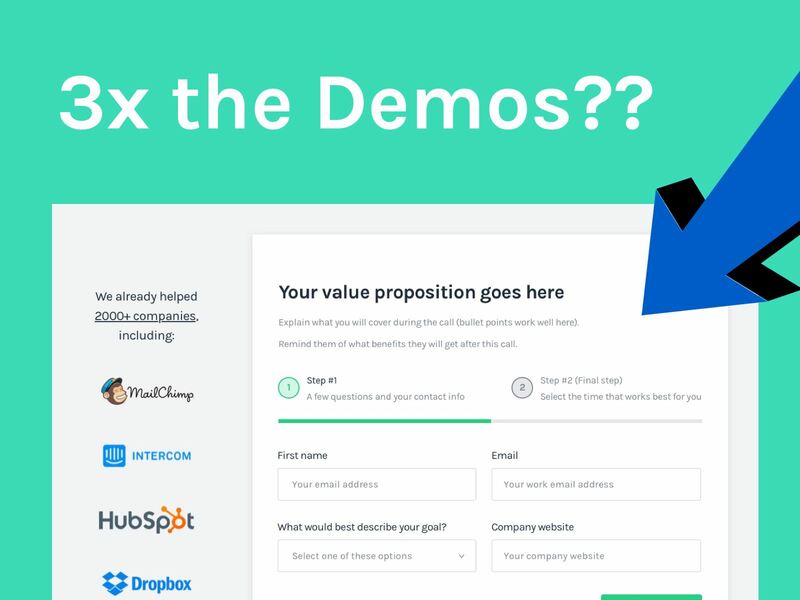 If you have several types of people that would be interested in your product than you might want to use your landing page to divide the audience. So guess what? You'll need a page tailored for them so they are more likely to convert. Luckily for you I have another guide on that below. 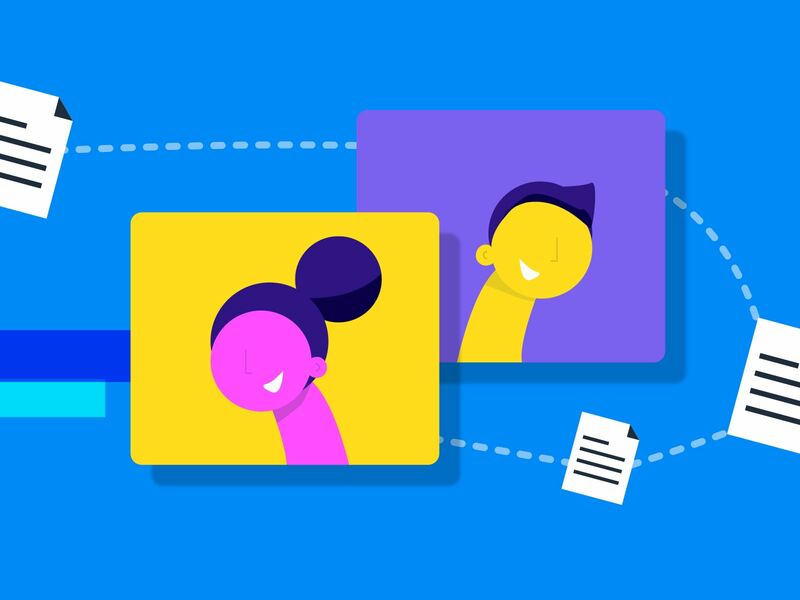 Related article: How to use Segmentation to convert "everyone"
Alright...now that you have all the info needed it's time to design an amazing set of pages around it. People are also very sensitive to the order you use, what you choose to include on a website and the CTA's you provide them. For that purpose, I have another guide on how you can take this content and turn it into an effective page (one at the time). So...Do you want proven systems or small tweaks? Hopefully we now agree that tweaks only fix surface problems and you need to identify what's the big reasons behind why people are not converting and creating a proper solution for it. If you want to focus on a predictable system where you know your product will be explained properly in the eyes of your customers you can book a free call with me. Something that you let you focus on driving people to and also let you focus your /and your team's) work on the product (or other things). In this call I'll help you determine what's keeping you from acquiring customers at scale your your website, how many pages you'll need and how much times it will take. Ready to talk? Schedule your free strategy session here.